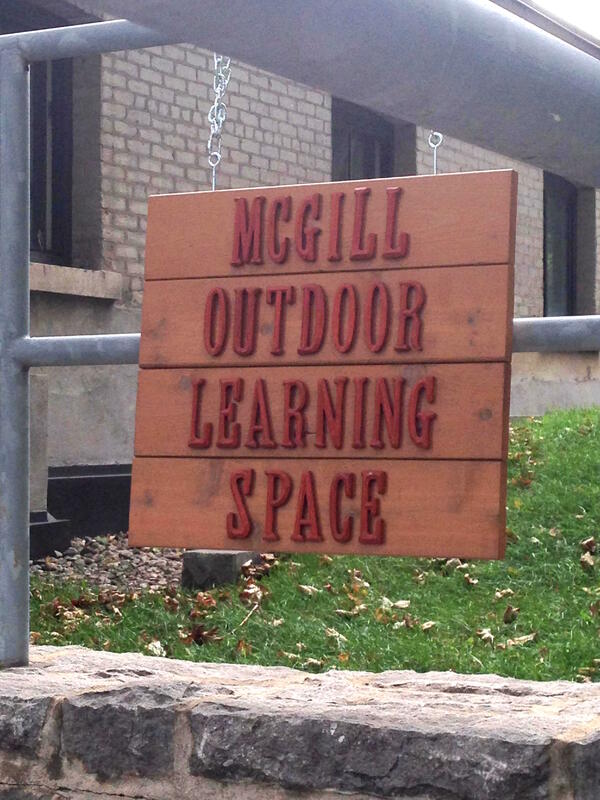 In the spring of 2015, McGill’s outdoor learning space was created to explore new and different ways of promoting sustainable devolvement and ecological literacy. Eco-literacy can be defined as the understanding of the relationships between natural systems that make human life on our planet possible. This initiative began with the construction of a community garden located between Coach House and Duggan House (and between Peel and McTavish streets). Since inauguration, many faculty members, staff, and students have used the garden/outdoor learning space for teaching, research, and enjoyment purposes. Connecting teachers and learners with the natural environment is crucial for developing their capacity for environmental stewardship, a key ethic for future generations of humans seeking to address issues like climate change, loss of biodiversity, and many other eco-consequences. By co-cultivating ideas with students, teachers, and community members about the intersections of nature, culture, and education, we aim to promote their roles in fostering a more sustainable means of living on this planet. It is through these means that environmental issues will be made personal, contextual, and more likely to translate shifts in thinking into individual and collective action.